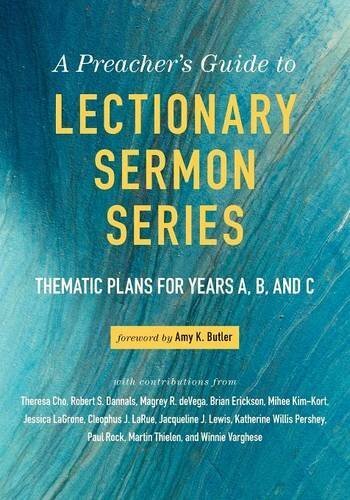 Lectionary preachers have the sometimes daunting challenge of exploring and discovering thematic consistency if they plan to preach in series. While there are fantastic resources online, such as my personal favorite, CatchyLecty, there are times when even our favorite resources leave us wanting. That’s part of the reason I’m excited for the upcoming resource release, A Preacher’s Guide to Lectionary Sermon Series, which will be released in only a few short days on May 27, 2016. A Preacher’s Guide not only provides insight into thematic consistency, but provides valuable commentary from a diverse host of pastors and theologians. This is a resource that I will return to again and again. Disclosure: I was provided with a pre-release review copy of this title.